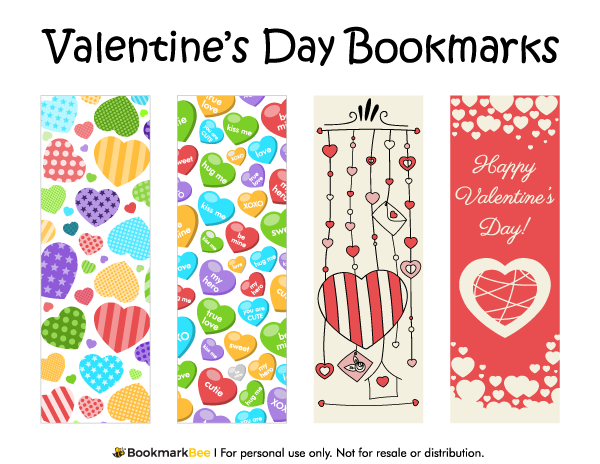 Valentine's Day bookmarks with colorful patterned hearts, candy hearts with romantic messages, heart doodles, and a "Happy Valentine's Day" message. Download a free version of this bookmark below. Note that the free version includes a watermark on each bookmark, but we do offer a bundle of all bookmarks without the watermark.